The War on Poverty, which President Lyndon Johnson declared nearly 50 years ago, has “failed miserably,” House Budget Committee Chairman Paul Ryan said Thursday -- and he wants to figure out what approaches would work to get Americans out of poverty. 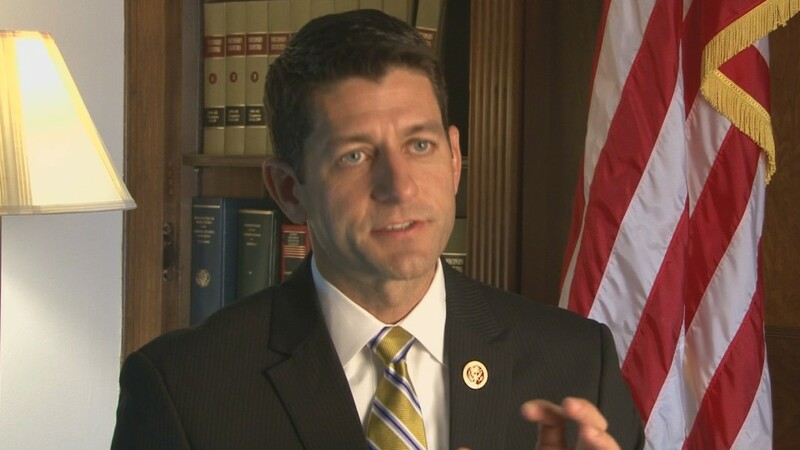 The Republican vice presidential candidate in 2012 and a potential GOP presidential contender in 2016, Ryan will hold a Budget Committee hearing next week to assess anti-poverty programs. Recent data show the importance of jobs. According to the most recent annual Census report on poverty, in 2011 the poverty rate for those who worked full time, year round was only 2.8 percent, but the poverty rate for those working less than full time, year round was 16.3 percent. And among those who didn’t work at least one week in the year, the poverty rate was 32.9 percent. Ryan did not specifically address the connection between the financial crisis and the subsequent recession – and the growing poverty rate since 2007. Ryan meantime dismissed Obama’s economic policy speeches delivered in Illinois and Missouri on Wednesday. “I don’t think I heard a single new thing in these speeches…. He is pushing the same old ideas that have proven to fail. He’s pushing polarization, he’s pushing big government regulation and taxes and spending that actually make it harder to create jobs and make it harder for people to get jobs and get out of poverty,” the Wisconsin Republican said. He has sketched out an ambitious plan in his Fiscal Year 2014 budget blueprint to convert the federal share of Medicaid spending into an allotment for each state designed to meet that state’s needs, indexed for inflation and population growth. Total federal mean-tested programs going to low-income people amount to $590 billion this year. Such means-tested spending will grow an annual rate of 6.2 percent over the period 2014 to 2023, according to the Congressional Budget Office. Means-tested spending is roughly a third of the size of non-means-tested entitlement spending which includes Medicare. There’s no doubt that the most enduring legacy of Johnson’s famous 1964 war on poverty speech was Medicare, which has proven to be hugely successful in reducing poverty among those over age 65. The poverty rate among those aged 65 and older dropped from nearly 30 percent in 1967 to 8.7 percent in 2011. LBJ launched the Title I aid to education program, and other War on Poverty programs. The next national policy maker to address poverty in an ambitious way was Ryan’s mentor, Rep. Jack Kemp from the declining industrial city of Buffalo, N.Y. As a member of Congress and as housing secretary for President George H.W. Bush, Kemp championed income tax cuts to spur job creation, tax-free “urban enterprise zones” in distressed big-city neighborhoods, and conversion of public housing from rental to ownership status, contending that when people owned their own homes they’d take better care of them and of their neighborhood. President Bill Clinton signed a historic bipartisan welfare reform bill into law in 1996, building in part on ideas tested by Republican Gov. Tommy Thompson in Wisconsin. Clinton’s successor George W. Bush signed into law the first federal school voucher program in 2004 in an effort to help low-income families trapped in dysfunctional public schools – another idea pioneered by Thompson in Wisconsin. Bush also pushed federal aid going to faith-based anti-poverty efforts and the No Child Left Behind education reform law. Obama has relied largely on tax credits such as the Making Work Pay credit and on direct federal spending as part of the $830 billion stimulus.